Why Post a Property and Landlord Rating? Rate your landlord – Help yourself and future tenants to be aware of the quality of the rental property and any current or past property and landlord issues. Asktenants.co.uk has thousands of rental properties and landlord experiences rated. We follow a simple survey style rating process where you can just answer multiple choice questions about the property, landlord and estate agent. Why Rate Your Landlord on Landlord rating sites? Benefits for you: Asktenants.co.uk now has thousands of properties and rated. Landlords are aware that tenants can leave a review on ‘Rate your Landlord’ sites about their experiences. So you as a tenant are no longer powerless and your opinion matters. We are giving a voice to tenants in the same way TripAdvisor gave a voice to travelers. TripAdvisor led to significant improvement in the quality of hotel accommodation. Advantages for your landlord: Just like how hotels love positive reviews about the property on TripAdvisor, good landlords who provide decent property, support Rate your Landlord sites. This will allow them to differentiate themselves from rogue landlords down the road. Landlords can also print badges and stick it on their door when their property receives positive reviews. Properties will good reviews on ‘Rate your Landlord’ sites are far easier to rent or sell. Feedback for future tenants: Our aim is to ensure future tenants learn from the experiences of previous tenants. Tenants live in the property for years and are aware of the pitfalls of property and the dealings with the landlords & agents. When potential tenants come to view the property they have 10 minutes to check the property out. The 10 minutes on a viewing are not sufficient to make an informed decision worth on an average £15,000/- per annum. This is where feedback from previous tenants on ‘Rate your Landlord’ sites will help future tenants make an informed decision. Health and safety: We have picked a landlord review received last week on Asktenants.co.uk (below). The tenant, in this case, suffered lead contamination. 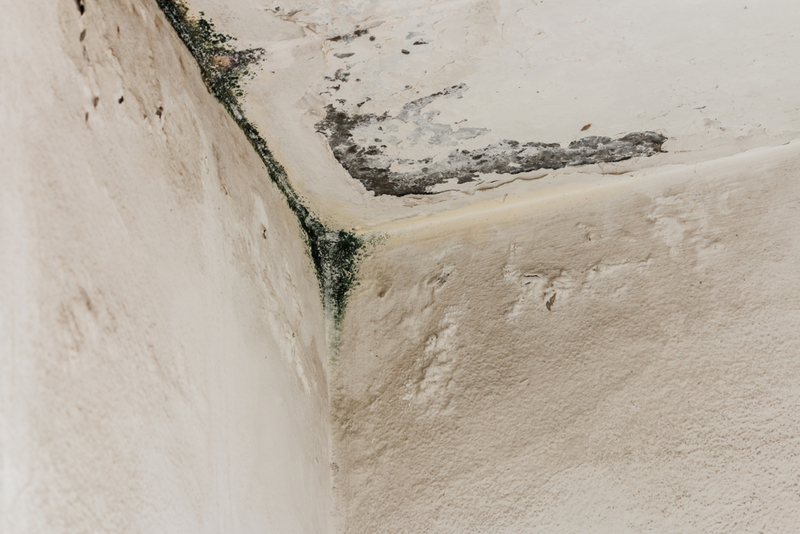 Similarly, there are stories about tenants living with worn out electric sockets with risks of electrocution, part of ceiling falling over and narrowly missing children, a chronic black mold which only appears in winters causing breathing issues. These stories if reported will help save lives. Review 1: Lead contamination in a property in Hamilton. Property defects We receive several reviews with properties having holes allowing mice to come in, properties with an infestation of carpet moths, silverfish and suffering boiler failures for weeks. Below review received last week is just tip of the iceberg and there are plenty more on the site which we list out at the end of this blog. Review 2: Silverfish infestation in a property in Edinburgh. The property has a severe infestation of silverfish. These insects do not appear during the day, but literally, hundreds come out at night and crawl all over the floor in the living room, bathroom and main bedroom. They are generally between 1 and 2 cm long. They panic when the light comes on and crawl over feet and anything near the ground. We have found that the larger insects can climb walls, and we have frequently found them dead in foodstuff eg. flour and sugar. When To Rate A Good Landlord on Rate your Landlord sites? Timings: 60% of the rental property reviews on Asktenants.co.uk are positive suggesting that rogue landlords are a minority. To ensure that tenants can reward good landlords with the positive reviews will convey a strong message to rouge ones that they are a minority. Ideally, every tenant should leave a review on ‘Rate your Landlord’ sites’ after they have received their deposit. Reviewing early or later: Tenants can review earlier while they are still in tenancy and review former rental properties going back up to 6 years. If they reviewed the property earlier and their opinion changes (say they did not receive the deposit back) they can edit the review and the survey. Why timings are so important: Checkout is a time for tenants to reflect their stay in the property and memory is fresh. More than a third of the tenants face some sort of issue with the deposit as per reviews on Asktenants.co.uk. A landlord review left at the time of receiving the deposit back (14 days after the checkout) is most helpful for future tenants. This is because that is the time they will be making the decision about renting and looking up the property on ‘Rate your Landlord’ sites. When to Rate A Bad Landlord on Rate your landlord sites? Timings: Timing when to review a bad landlord is a personal choice. Some tenants do it at the time of facing the issues. Others who worry about the repercussions about the landlord can evicting them, wait for the time till tenancy is complete. Why timings are so important: If you are worried about repercussions, the best time to review is a month after checkout when the landlord would have returned your deposit. Some tenants prefer to do it straight away as a review after they have left is not helpful to them and puts no pressure on the landlord to carry out improvements. Apart from reviewing what do you do about rogue landlords: If a council serves improvement notice to the landlord, they will lose the right to exercise section 21 eviction notice if your tenancy starts after 1st of October 2015 and they must carry out improvements. However, to get to that state involves a tenant jumping through many hoops. Read this blog by Shelter to find out more about how to get an improvement notice served on landlords. Step 2: You will receive a verification email. Please verify your email. Step 3: Complete the survey (multiple choice questions). You can add comments and pictures highlighting any issues, however, these are optional. A typical landlord review takes about 2 minutes to complete. SW8 Two bed 1-bath. Rent £1,430 per month. Moth and Gas safety issues and was evicted when I complained. “The flat was infested with moths, didn’t have a gas safety certificate in place, didn’t have working heating in the largest area of the property for seven months, had bad damp and condensation problems and the alarm was faulty (it would go off at random times, waking us up and bothering the neighbors). There was a range of other slightly less serious issues. 1 Bed – Abbey Road London NW8, £1300 per month – Bitten by millions of bed bugs. “I have been renting in London for the past 5 years and this was by far my worst experience. I was very excited to rent a 1 bed and move out of a house-share. And I agreed to pay a sizeable amount for this flat, which seemed in a nice building. Little did I know that I was not alone in the flat. The flat came infested with millions of bedbugs and I submitted photo proofs of them (including one of me being bitten all over). I received help after 2-3 days of living in that condition. Even then the issue was not solved as the landlord tried to for a cheaper solution rather than the effective one. After weeks of complaining, I was asked to pack up all my belongings and let the bug terminators 4-6 weeks. Please dont get surprised when the landlord expected me to leave the flat for 4-6 weeks and expected me to pay in full. After much negotiation, we agreed on landlord waiving the rent for 4 weeks. And just when I thought I was getting comfortable, the ceiling started leaking. Again after many cut paste cheap jobs and weeks later, when the problem wasn’t solved, I was asked to not use electricity in the living room. Basically not occupy it as the water interfered with electricity. And was asked to pay the rent in full, despite not being able to use the flat in full. Reason cited was I still have a bed to sleep in. This went on for another 4-5 weeks and despite trying to seek legal help, I was told that the agreement was drawn in favor of the landlord. Meaning, the landlord tried to help! Had he not tried to help, the legal case would have been stronger. However, since he tried to help, despite it taking 6 + weeks, I had to pay the full rent. I decided the stop my tenancy right there. And wouldn’t recommend anyone going through such a harrowing experience by dealing with that landlord / managing agent again! Illford, 1 Bed £850 per month. Rodent infestation & bed bugs – slept on the sofa for weeks. “We complained about a faulty Tap in the Kitchen, which the landlord paid no attention to. That is, until the day we moved out. After we moved out, he cared to repair it. There were heavy rodent infestation. Bathroom was given to us in extremely dirty condition. Bed mattress was infested by bugs, but eventually the landlord arranged for pest control, after we slept in sofa for weeks. London NW10 Building works, blocked toilets, cockroaches. Half the deposit deducted. “Both the estate agent and the landlord failed to inform us that a conservatory was to be built off the back of the downstairs bedroom, which started being built at the beginning of our 6 months let, then was left leaving the downstairs bedroom dark. and looking out onto a concrete room. There was an infestation on cockroaches from the beginning which still wasn’t gone when we left. –There was a rat on the top floor. -The toilet was blocked then temporarily fixed then blocked again. -It was advertised with a dishwasher which never worked. -The washing machine broke and took 6 weeks to fix, but we were never offered money towards the launderette. Isleworth TW7 – 2 Bedrooms, £1,200 per month. London E3 – 2 Bedrooms, £1,700 per month. Richmond TW10 – 3 Bedrooms, £1800 per month. “One of the best flats ever – Chancellors estate agents were good and so was the landlord. Fixed any issues straightaway, responded to emails as well. Few things I particularly liked about the flat area) Huge storage in every room b) View from the kitchen overseeing St Mathias church c) Kids room. Eastbourne BN – 4 Bedrooms. Newport 2 Bedrooms – £450 per month. SE22 London -2 Bedrooms, £1,500 per month. We will close this blog by saying that Rate Your Landlord websites are just getting started and have great potential to improve the housing standards. Councils will always play a role but with diminishing resources their ability to intervene will be limited to worst case (hole in the wall) scenarios. If every tenant in the UK spends 2 minutes to review their rental property we will build a database of every rental property in the UK in coming years. This will help us make informed renting decisions at a time when we are seeing a shift from buying towards renting. Rate your current/former rental property on Asktenants.co.uk; let’s reward good landlords and shame rogue ones. Tracy HodsonThe cottage we currently live in is full of mould. It is black, green and red mould. It is rife in t..How to rent a property in London. – Ask tenants[…] circumstances sometimes play a key role to negotiating the rent and securing a property..Why is viewing so important in rental properties? – Ask tenants[…] near windows will help, condensation around window area is most common. Look out for any s..How to rent a property in London. – Ask tenants[…] focus on one single website for listings example Zoopla or Rightmove to rent a property. ..